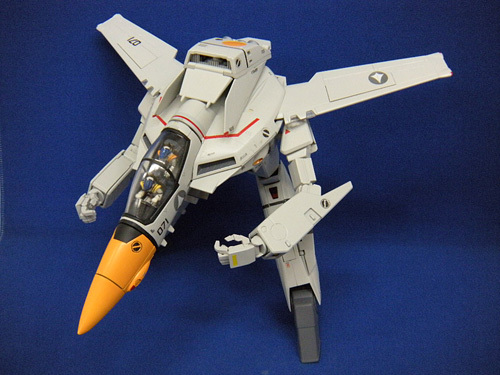 The thing I can say about this toy is that for the shortest amount of air time in the Macross-Do You Remember Love movie, it sure is getting one of the most amount of fan noise for a production build. 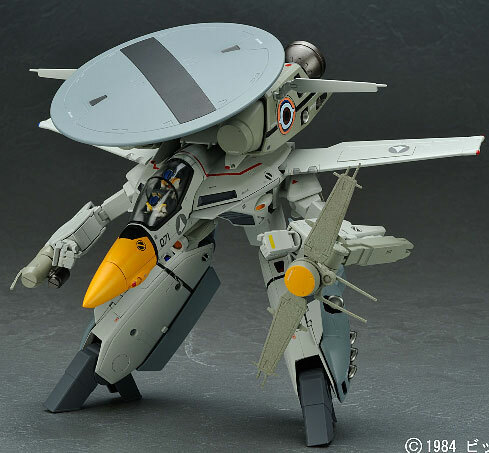 Yamato didn't fall short however in my expectation of the VE-1 Elint Seeker as looking from the specs you will notice that its totally different from the regular 1/60 VF-1 from Yamato. 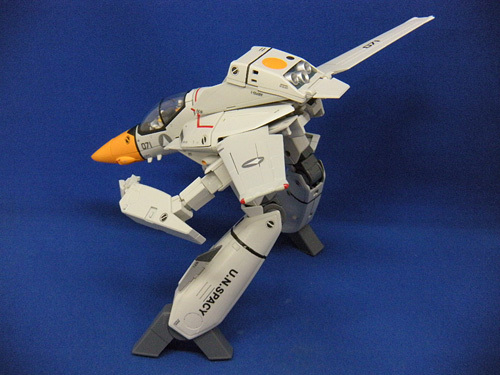 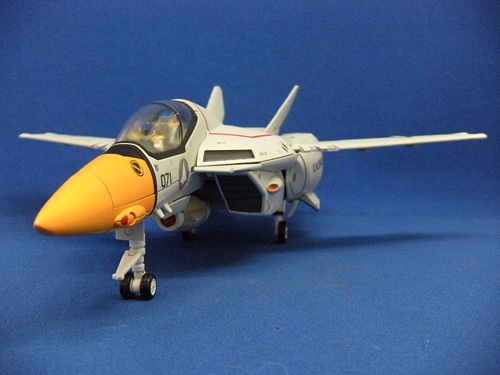 Scheduled to be released on September 2009, the 1/60 version of the VE-1 will retail for around Y17,640. 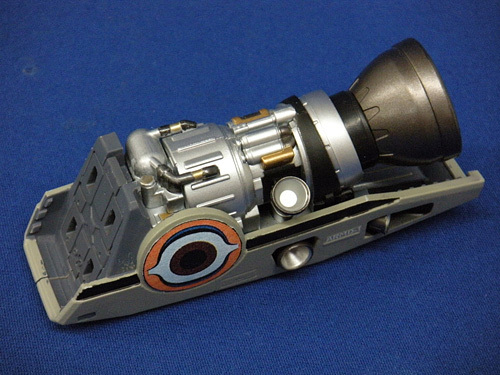 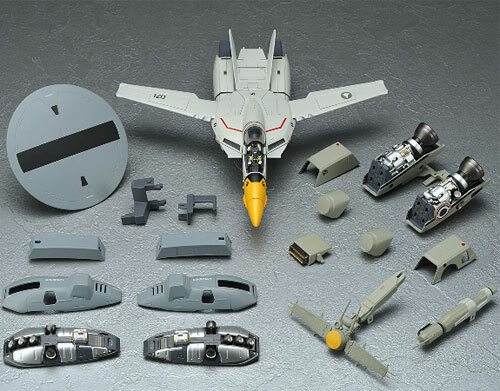 The Elint Seeker will also come with its own special set of Super Parts. 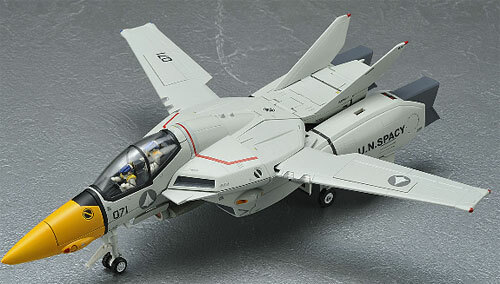 Most obvious difference lies in the fact that the VE-1 Elint Seeker is a two seater variant. 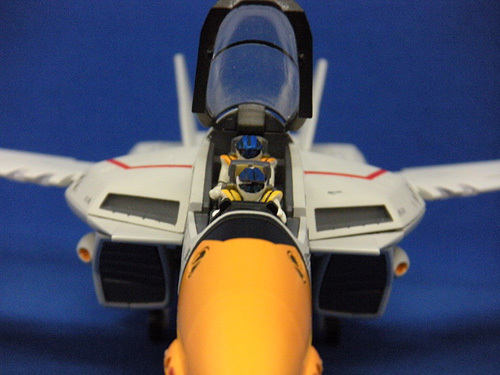 Fans will be delighted with getting two pilot figures instead of just one. 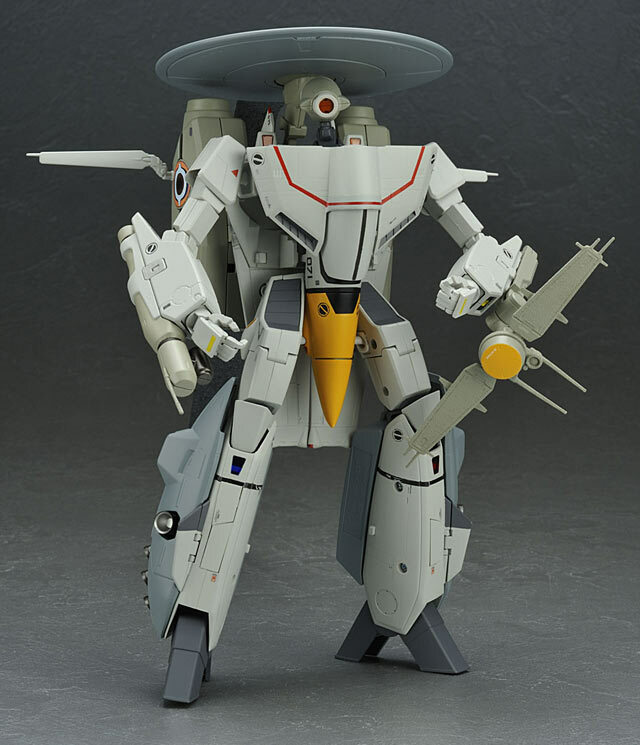 Then there is the bulbous radome that sits like one of those large racing hats worn by ladies watching horse races. 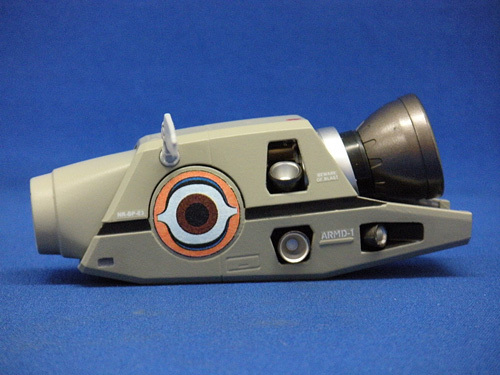 And like a purse worn by the said ladies, it has a camera and communications antenna on its arms. 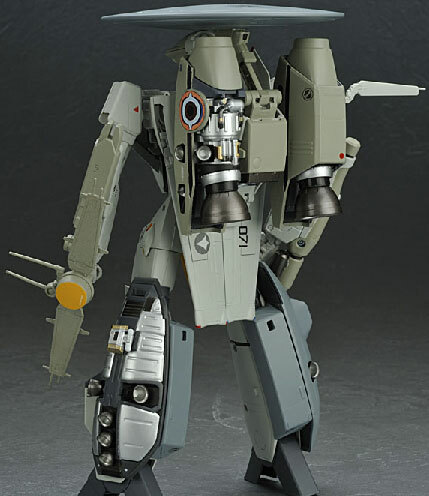 Because of all this surveillance and communications gear, sadly the VE-1 does not come with any weapons. 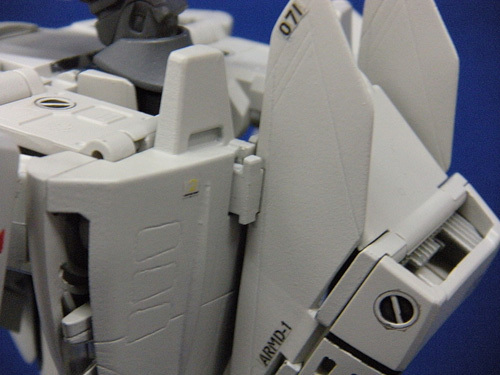 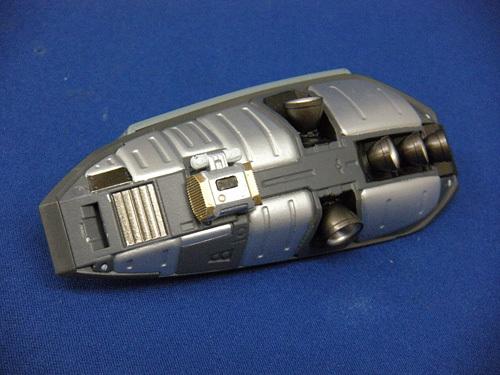 Also because of this, the Back pack boosters are also different because of the lack of micro missiles. 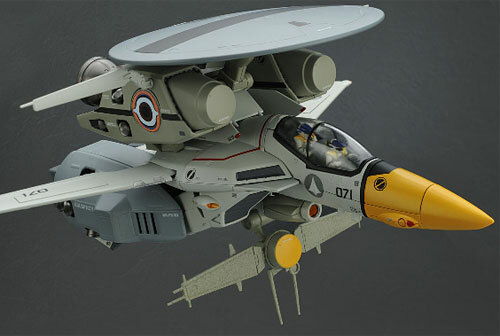 I'm thinking that there was a lot of leeway given to Yamato to make this type of Valkyrie because the actual unit was only shown in fighter mode for a few seconds in the movie. 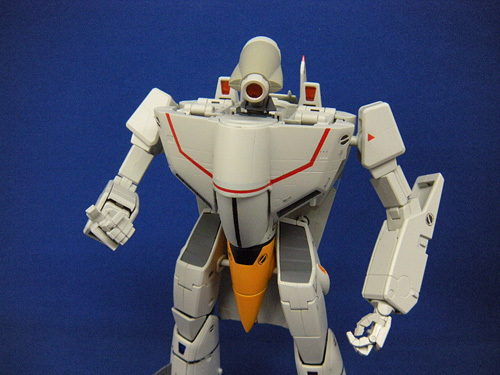 Bandai also came out with a 1/55 version of this in the early eighties as part of the merchandising when the DYRL movie first came out. 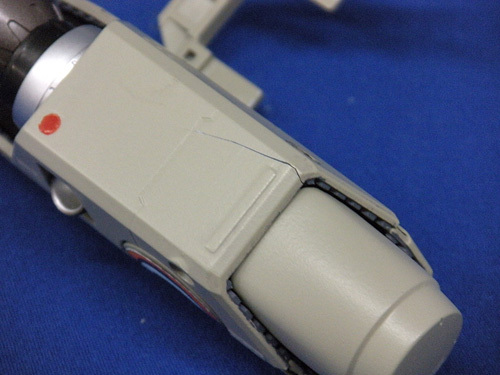 Propellant tank design is different than of the regular Super and Strike parts design. 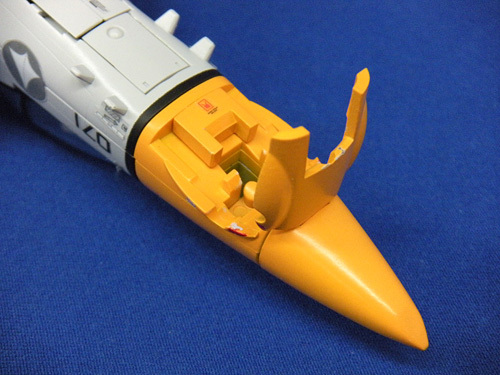 New locking mechanism design for the back thruster, lock actually connects to the wing of the tail fin. 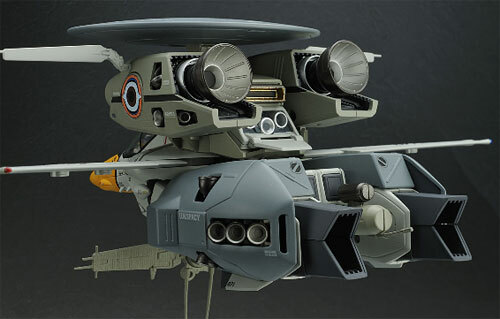 Is that a giant eye on the insignia?